Save.ca has a new coupon to make your mornings tasty! Save $5 off when you purchase 3 participating General Mills products. 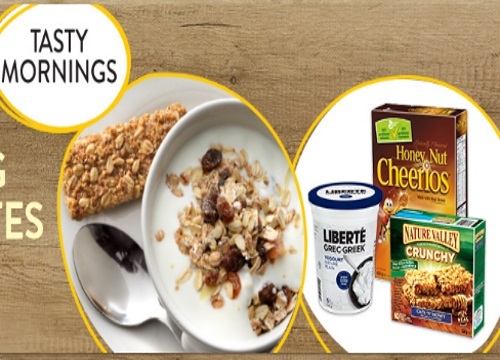 I am not sure what products you have to buy, I would assume it was the items in the picture (Honey Nut Cheerios, Liberte yogurt and Nature Valley granola bars). The link suggests to look at the coupon for details, so I guess we will see once it arrives. This is a mail coupon, while quantities last.